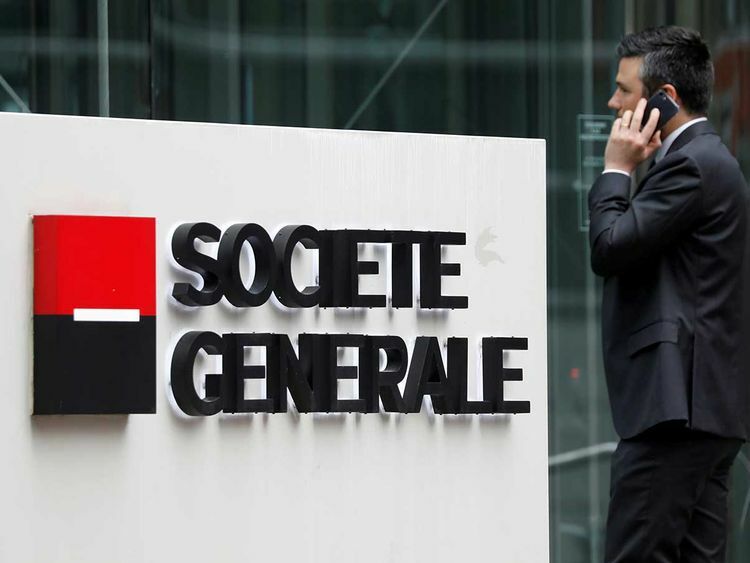 Societe Generale SA’s plan to cut 1,600 jobs marks a new era of retreat for one of Europe’s few investment banks that still hopes to compete globally. Expect more rivals in the region to follow. The Paris-based firm is scaling back in rates, credit, currencies and prime services after revenue from fixed income dropped by more than 10 per cent last year — three times the decline of its European peers. The company will instead focus on equity derivatives and structured products, its traditional areas of strength. At least 1,200 positions will go out of 20,000 at the securities division’s parent. Societe Generale’s struggle to generate an acceptable return from investment banking is far from unique. In 2018 the operation’s return on net equity was about 7.8 per cent, well short of its target. Deutsche Bank AG’s securities unit, Europe’s biggest, posted a return on tangible equity of less than 1 per cent in 2018. At Barclays Plc, the comparable division’s ROTE (return on tangible equity) was 7 per cent, still below the company’s cost of equity. As fixed income sales and trading — the biggest engine of fees — has sputtered, so European firms have lost market share to JPMorgan Chase & Co., Citigroup Inc. and Goldman Sachs Group Inc. They have been pummeled by a decline in domestic investment banking activity and a sluggish European economy. Their consumer lending operations have offered little protection as margins in those business have been squeezed by low interest rates. That pain bled into the first quarter, with another bout of poor trading conditions likely to weigh on earnings. The industry faces an 11 per cent slide in fixed-income revenue, a 7 per cent drop in equities and a 1 per cent decline in advisory and capital markets income for the period, according to UBS Group AG analysts. Europe’s universal banks will have little choice to cut back further in response — another win for Wall Street. The scale of the downsizing will vary between firms, as will their areas of weakness. In February, France’s BNP Paribas SA pledged to reduce expenses after seeing trading revenue contract for seven consecutive quarters, abandoning ambitions to grow faster than its peers. Both equities and fixed-income sales in the first quarter are likely to have lagged those of global rivals, according to UBS analysts. Sergio Ermotti, UBS Group AG’s CEO, has guided that income from its investment bank will decline by about a third in the first quarter from the year-earlier period. A profit warning of this magnitude has sent shivers down the spine of traders at the company. Then there’s Deutsche Bank. Bloomberg News reports that regulatory approval for the German lender’s plan to combine with Commerzbank AG will hinge on whether the two can improve the profitability of Deutsche’s securities unit. Whatever happens with the merger, its US and equities operations look ripe for downsizing. And while there are no visible plans to retrench at Barclays and Credit Suisse Group AG, both are under pressure to do more with their capital-consuming trading businesses. At the Swiss firm, investment-banking related activities soak up 36 per cent of capital but generate only 22 per cent of the group’s pretax profit, according to JPMorgan analysts. Meanwhile, at Barclays, CEO Jes Staley has conceded he needs to improve returns in the securities unit amid pressure from activist investor Edward Bramson for deeper cuts. Fast-forward a year, and it’s easy to see Wall Street firms gaining yet more market share. The next retreat in European investment banking is upon us.